Charleston might still be averaging 88° days, but with Labor Day Weekend just around the corner, the unofficial end to summer is in sight. And with that means the start of college football! NFL has already kicked off and we love seeing our jersey-clad patrons lined up at the bar watching their teams on the screens. Ring in the official start of college football with us on Saturday, September 1st. 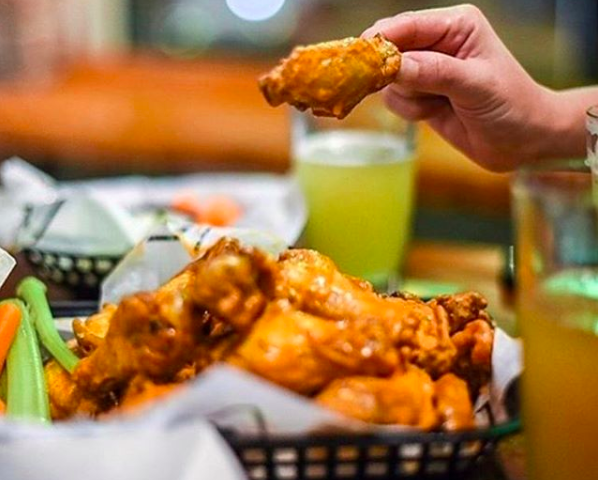 We’ll have $10 Bud and Bud Light Pitchers all day Saturday and Sunday and a full menu of your crave-worthy, sports-watching favorites like Buffalo wings, griddled burgers, small plates and more! We’re excited to host Tennessee Alumni for each and every game this football season. Join fellow #CharlestonVols for game day at Charleston Beer Works! For more information, check out the Facebook event here. And there’s nothing quite like a Silent Disco to get your long weekend started! Join us for Beer & Beats Quiet Headphone Party! Quiet Kingz Headphone Events will supply 100+ wireless, LED silent disco headsets are available first come first serve. It will be an epic two level party with two live DJs in the mix at the same time battling for your attention. The coldest beer on King Street, excellent service, outstanding food, and banging beats all night long. You control the party with the flip of a switch. Don’t miss it, there is always a packed house. We always get to capacity and run out of headsets so get there early! For more information, visit the Facebook event page here.